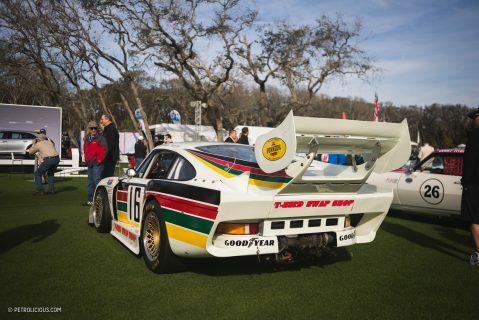 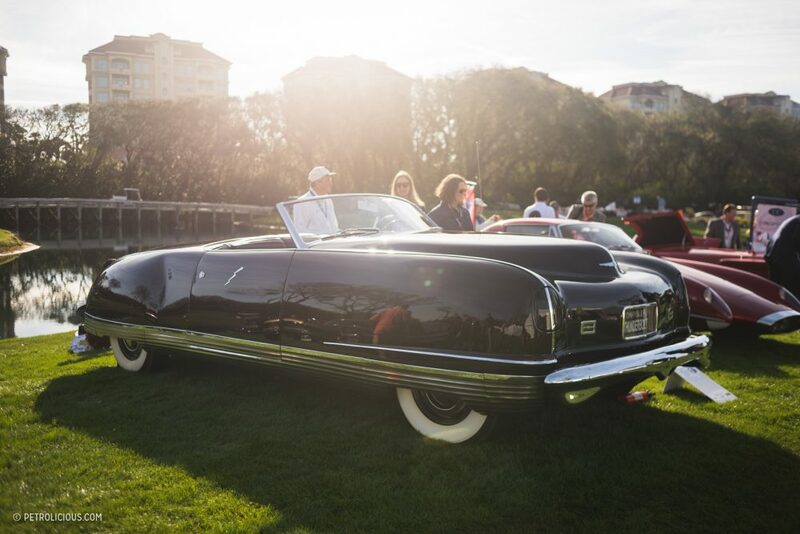 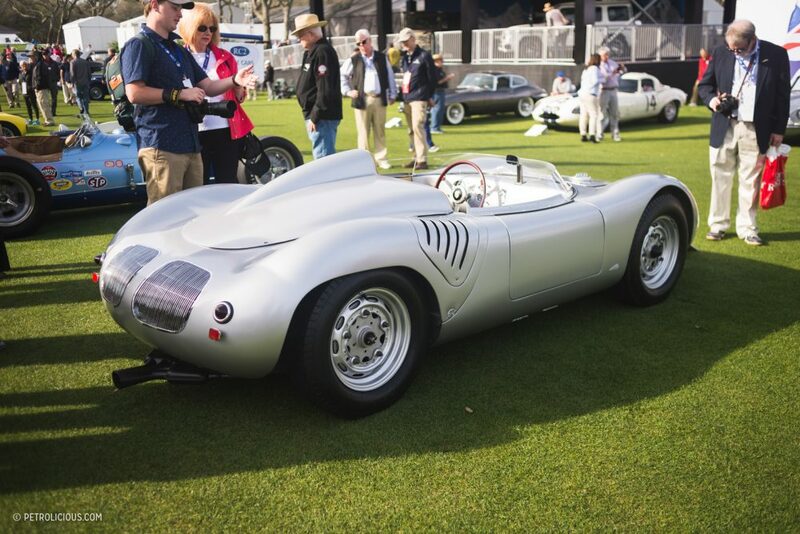 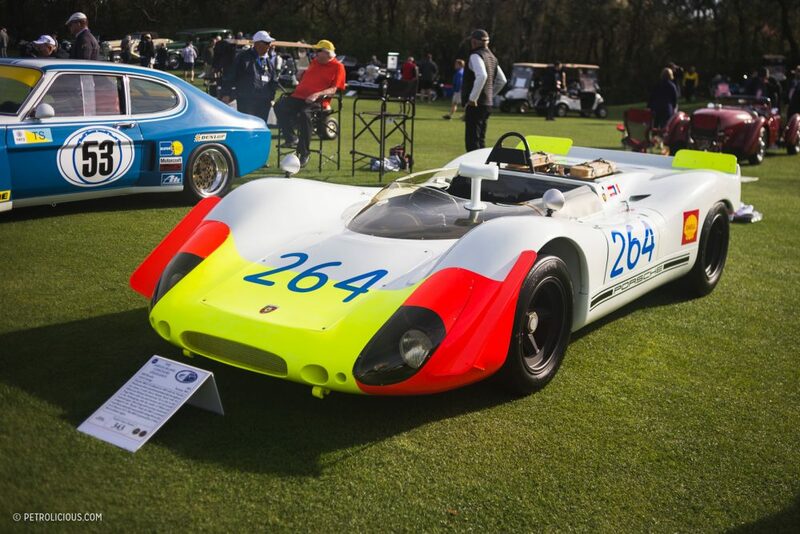 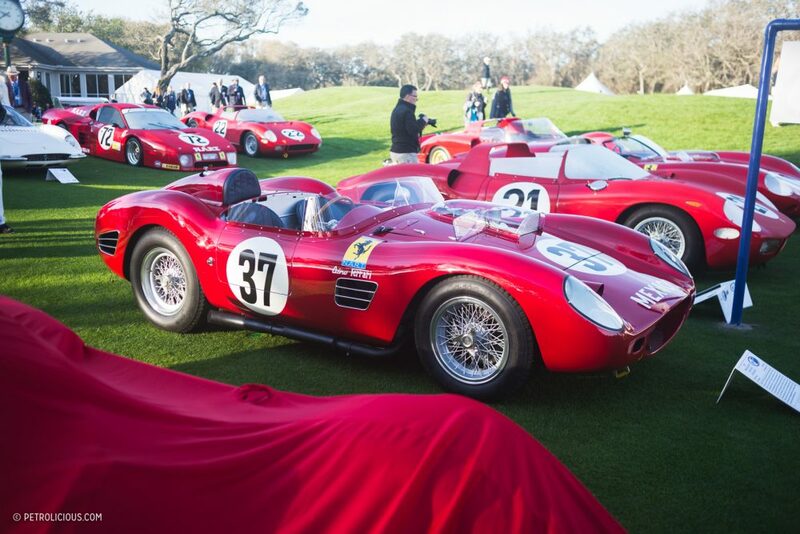 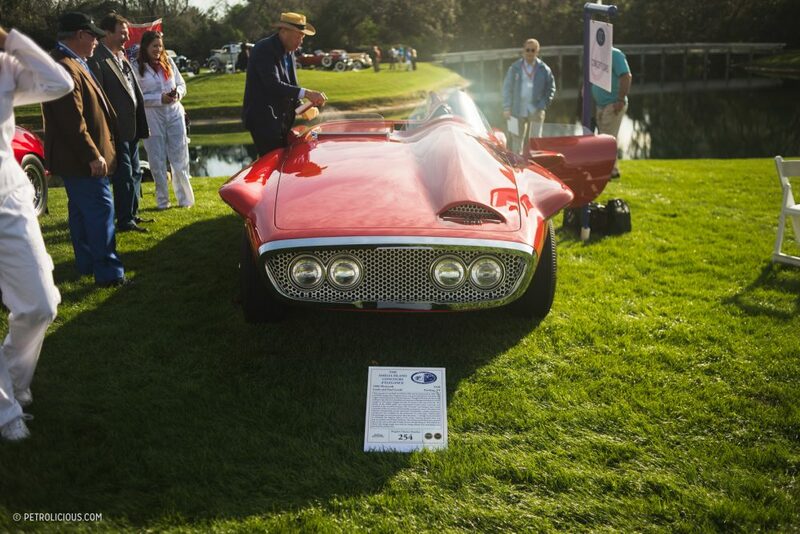 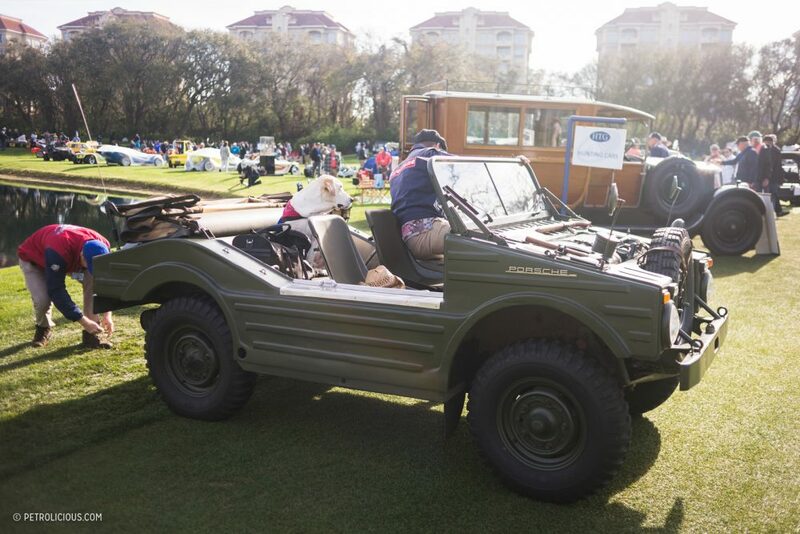 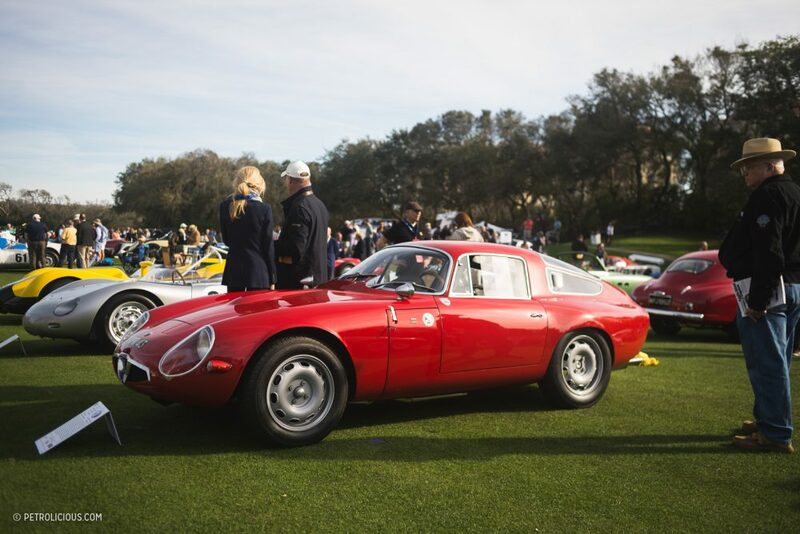 For the second year in a row, the traditionally second-Sunday-in-March presentation of the Amelia Island Concours d’Elegance was shoved into the Saturday slot under the threat of meteorological interference. 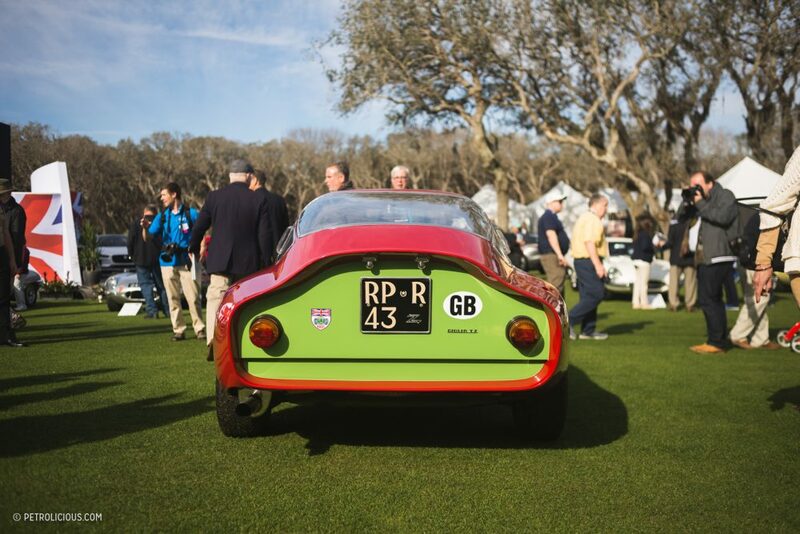 In doing so, the logistical hurdles of modifying the range of events on the Island were immense. 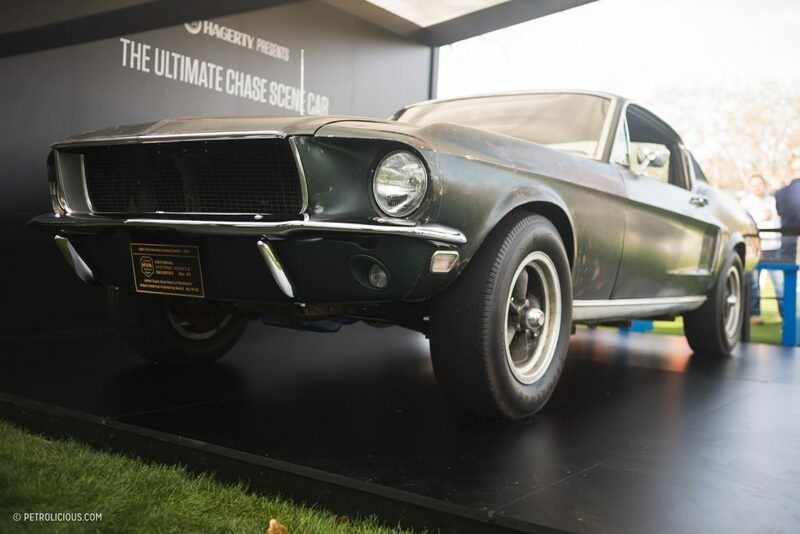 Auctions were bumped up, scheduled reveals and discussion panels were revised to accommodate the three-day event that would now be packed into a mere 48 hours. 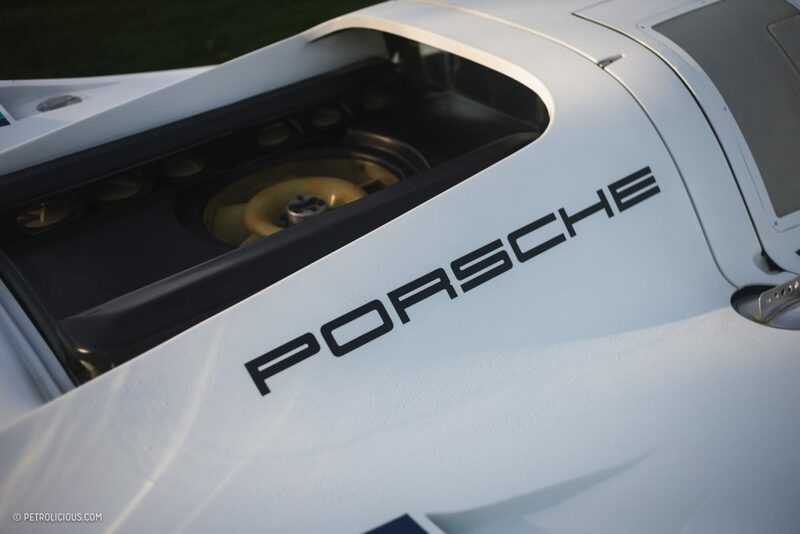 Despite the new time constraints and impositions, one could have assumed Saturday was the originally intended day all along, what with how well all of the pieces came together. 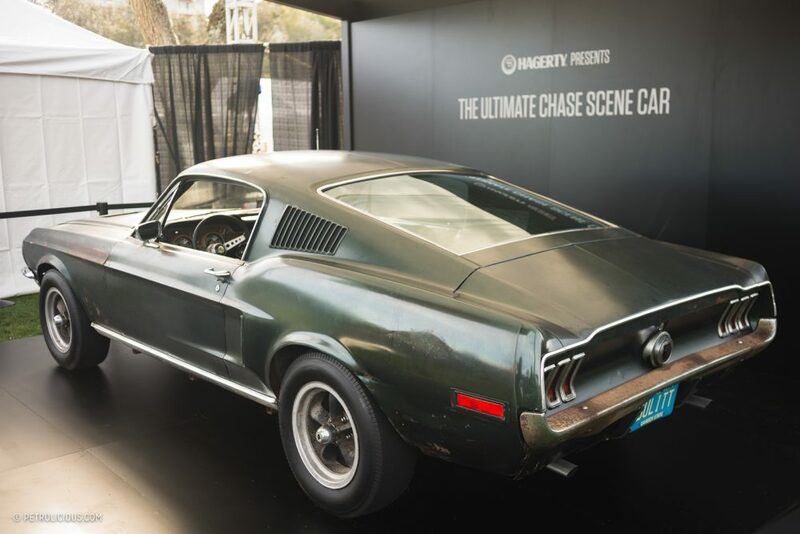 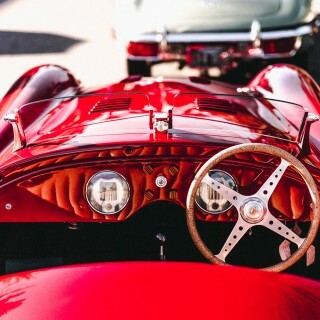 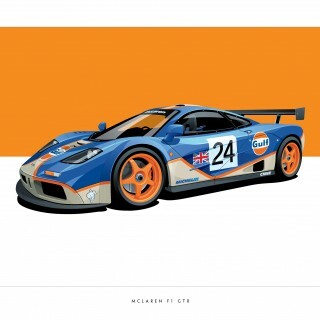 Being part of a privileged group of media affords priceless insight into the preparation and orchestration of one of the premiere automotive exhibitions in the world today. 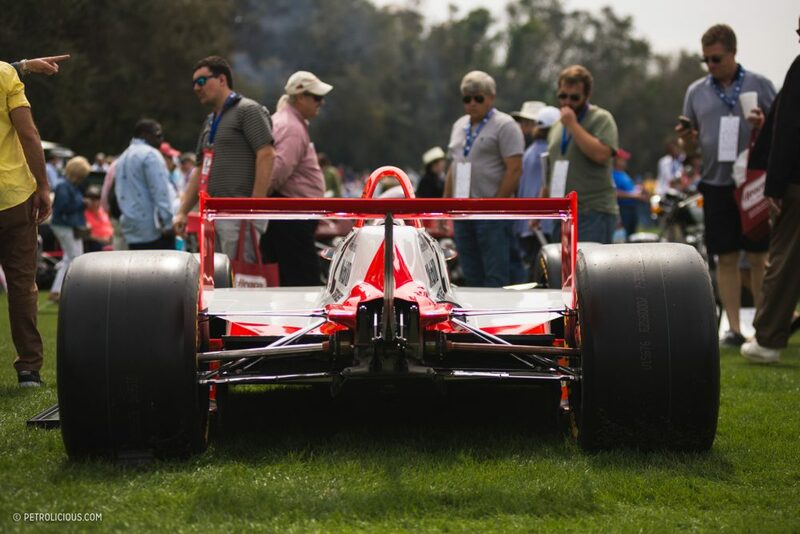 As such, I had the opportunity to get onto the show field before it would be flooded with the day’s attendees. 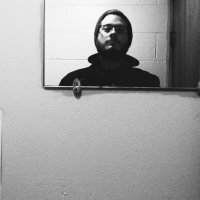 Forfeiting a couple extra hours of sweet slumber is a worthwhile trade-off for (mostly) unobstructed access to these physical manifestations of many a thumbtacked poster. 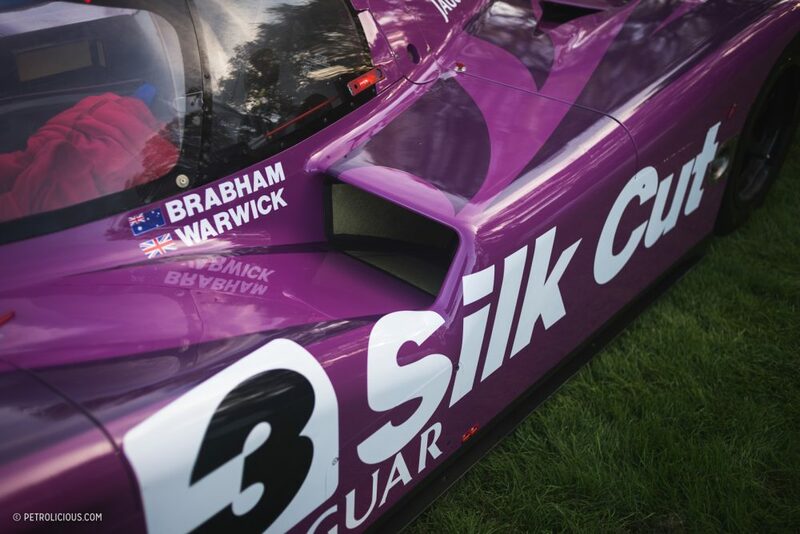 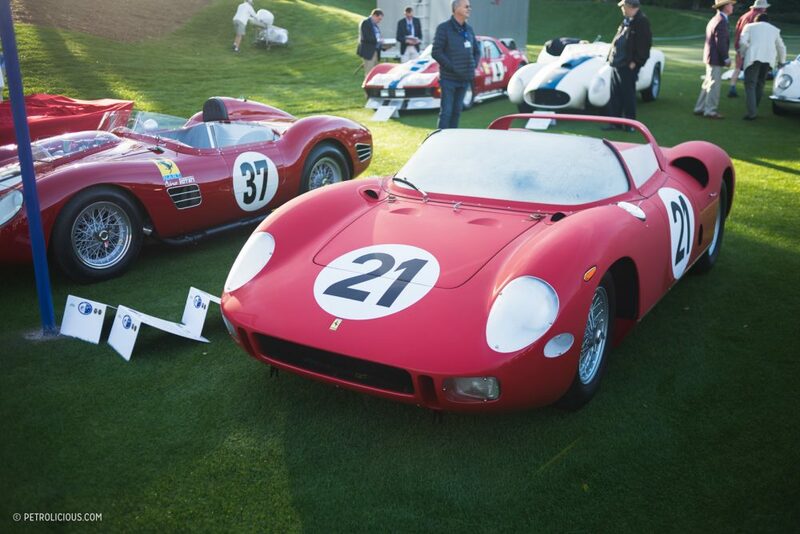 In the dew-dampened morning light, the first covers were being carefully pealed back to reveal the prizes beneath. 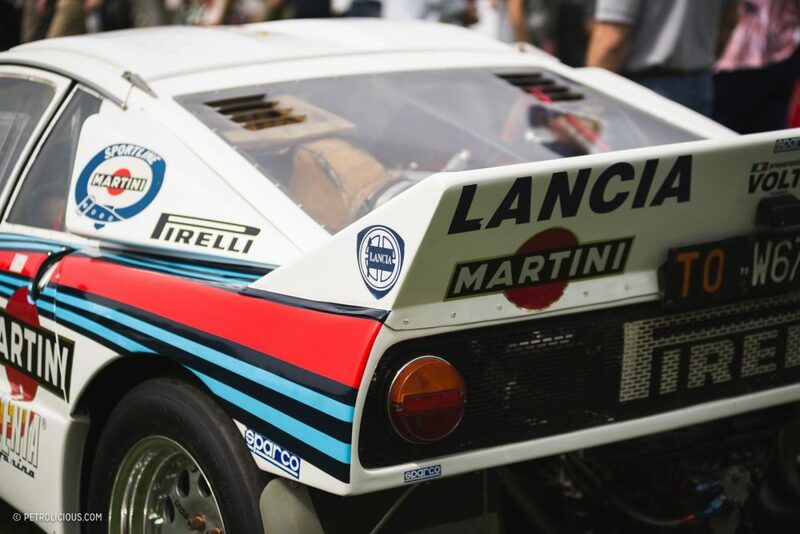 Other entrants with period-correct pit crew outfits were busily wiping condensation off all manner of glass, metal, and paintwork. 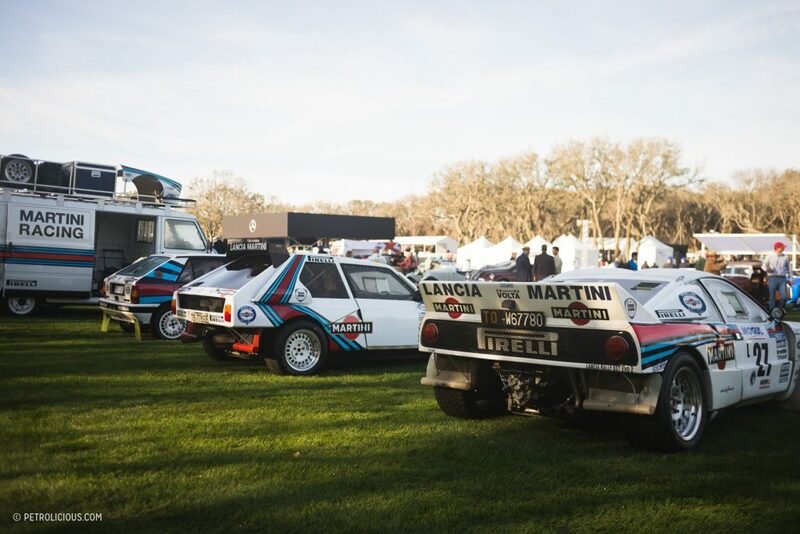 The sun revealed iconic autos and familiar faces alike, and one of my first stops served as the highlight of my weekend; the Martini class judging area where Petrolicious alum John J. Campion was making last minute tweaks to his fleet of six Martini-liveried Lancias. 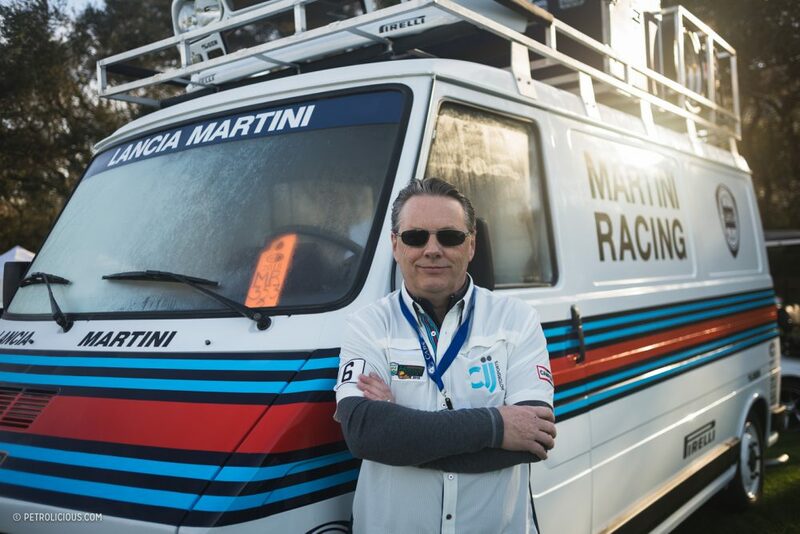 A request for a quick photo is immediately granted, and I ask which of his lot he’d like to pose with. 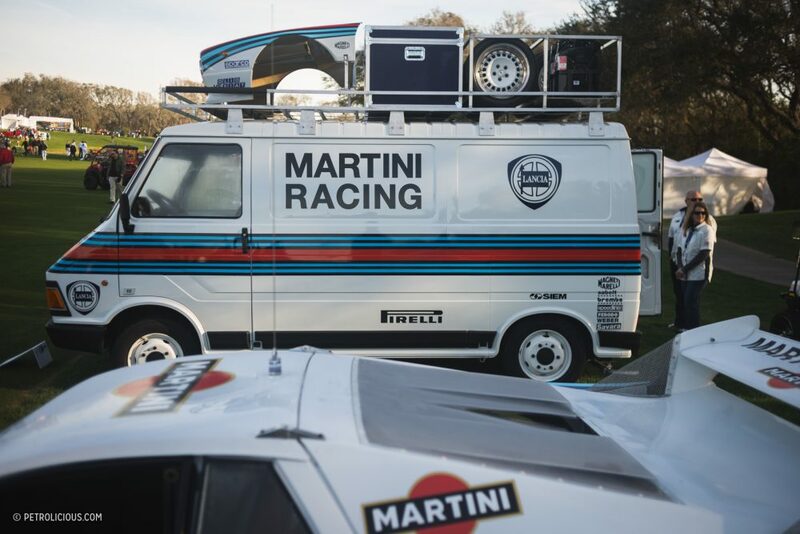 I barely get the words out before, “The van!” leaps out of him. 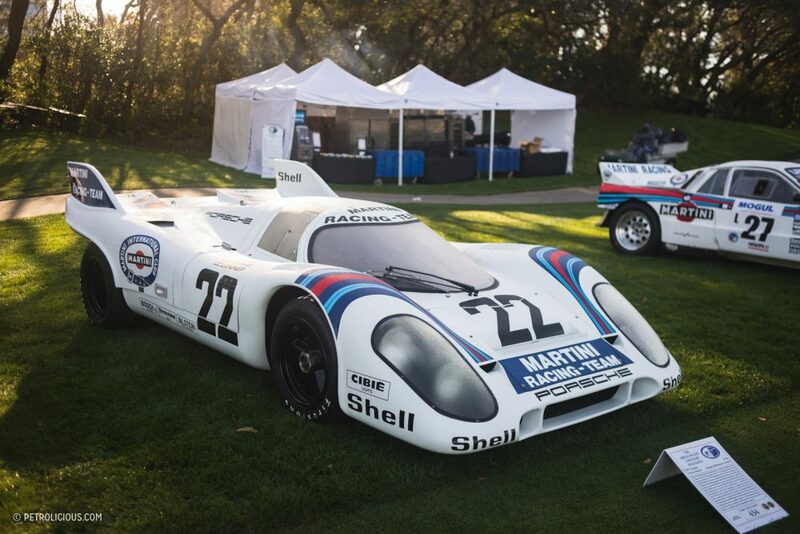 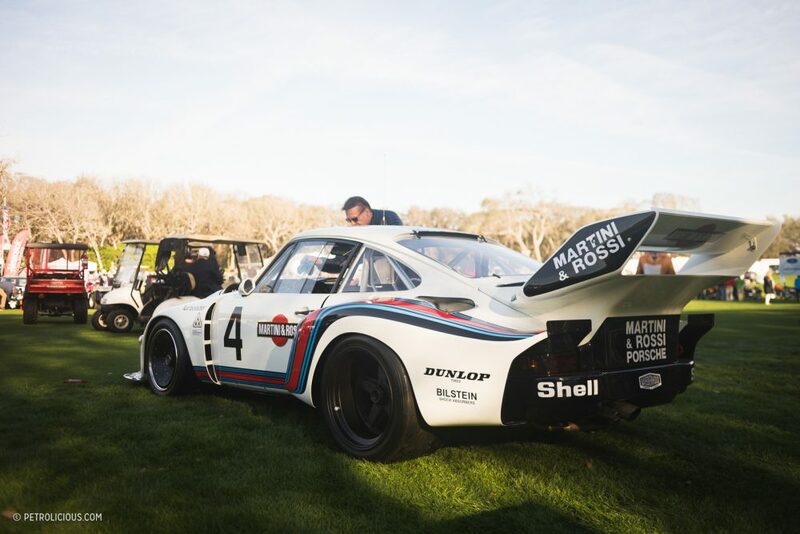 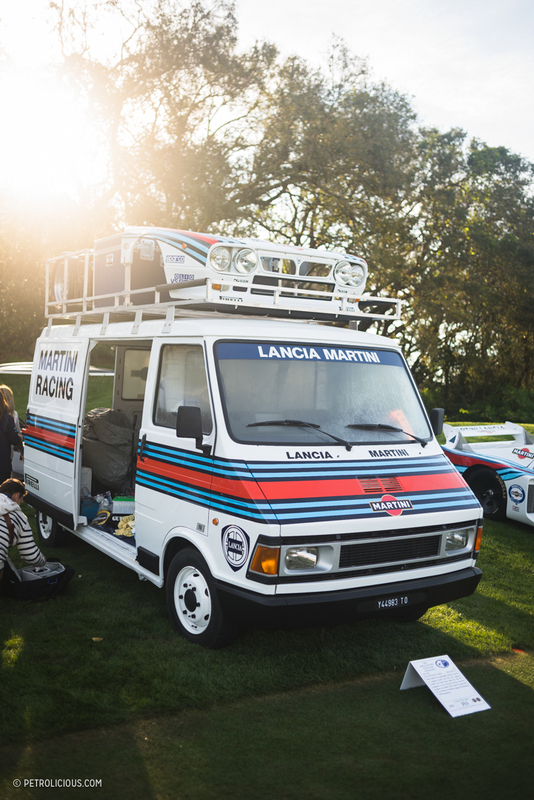 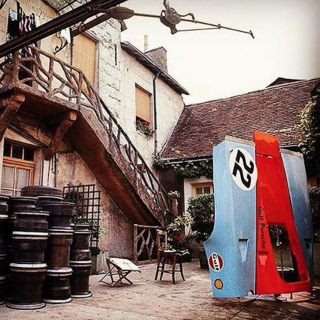 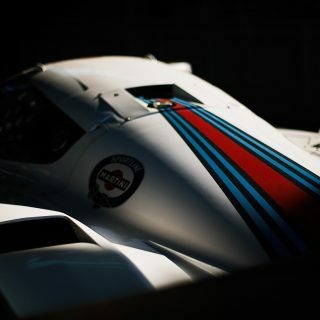 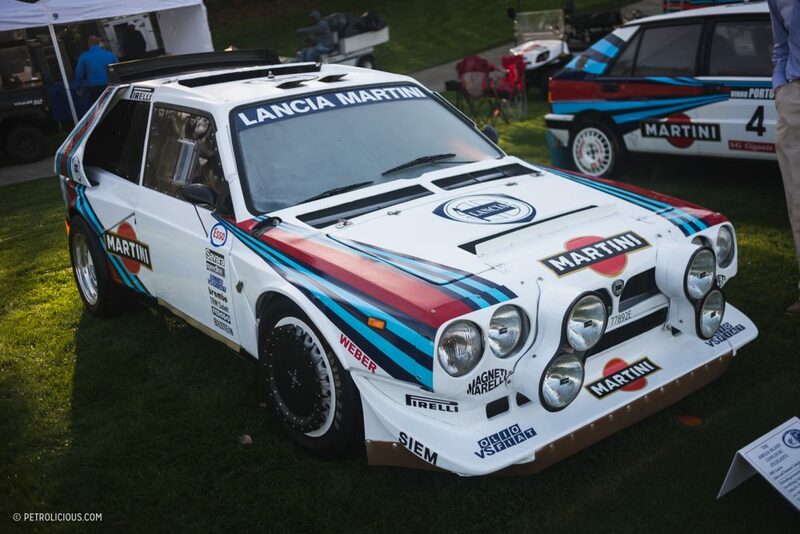 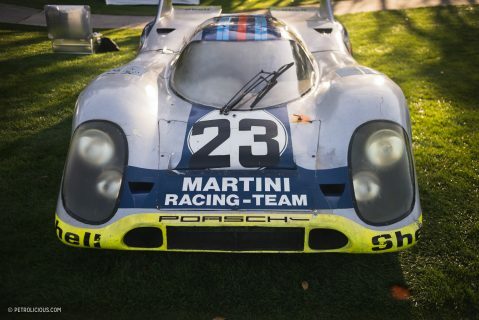 The Martini Racing rally support vehicle complete with spare 037 front fascia perched atop the roof serves as the perfect backdrop, and highlights the variety on the wider lawn. 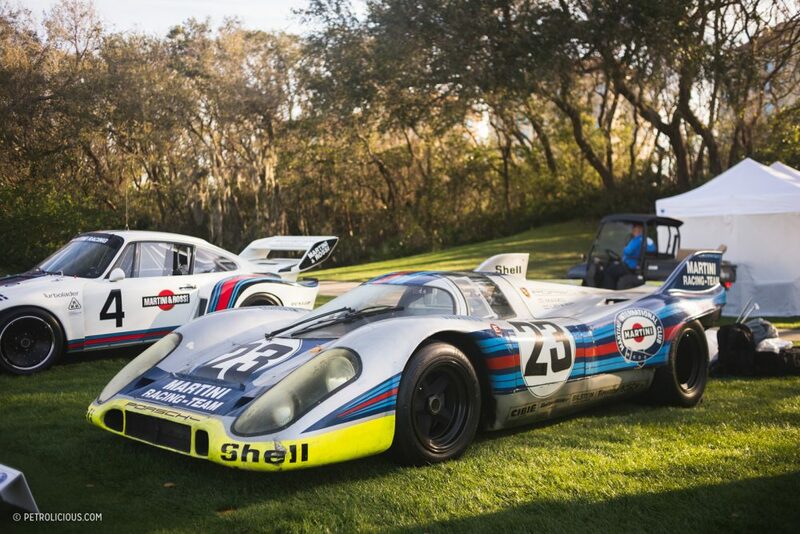 Mr. Campion’s exquisite collection came in a close second to the magnificent N.A.R.T. Ferrari (and one Corvette!) 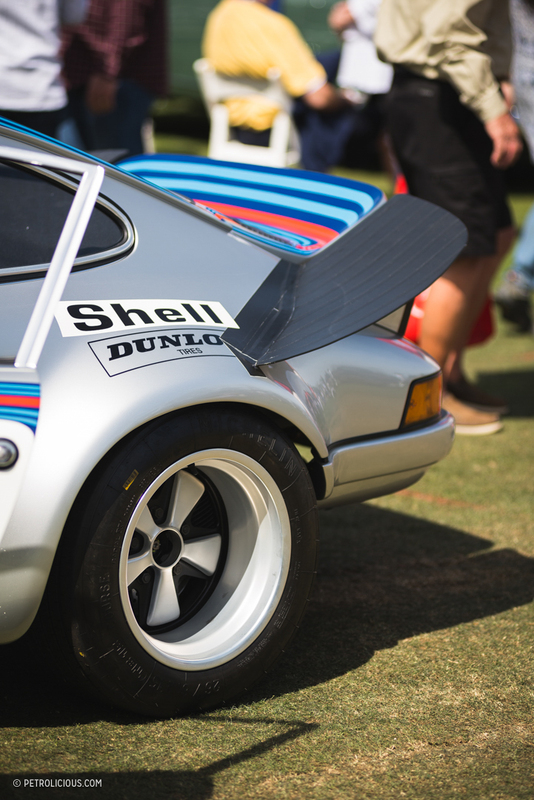 display. 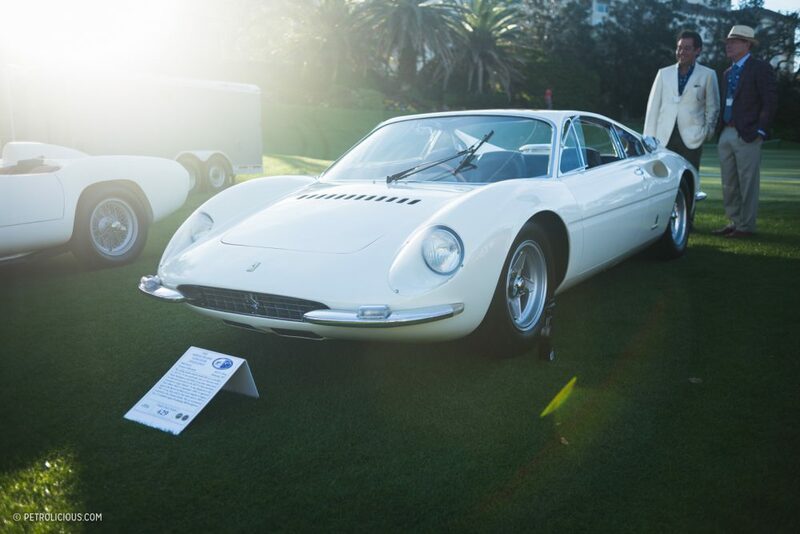 Despite the Rosso Corsa wave that makes up the majority of the display, my eye is immediately drawn to a comparatively diminutive and boxy white Ferrari sat in the middle. 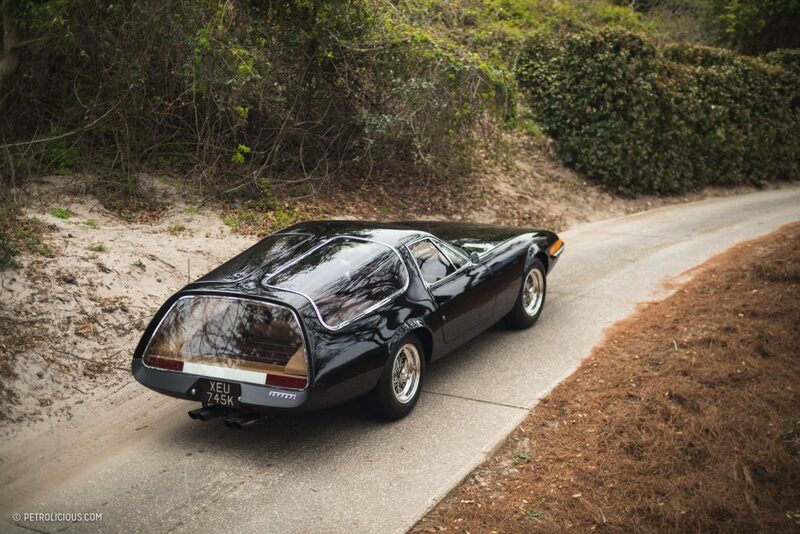 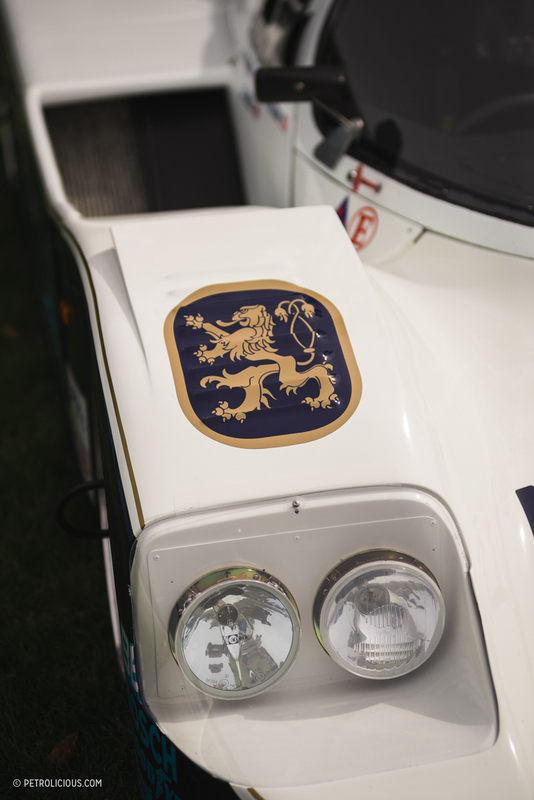 Another example of the scope of this concours. 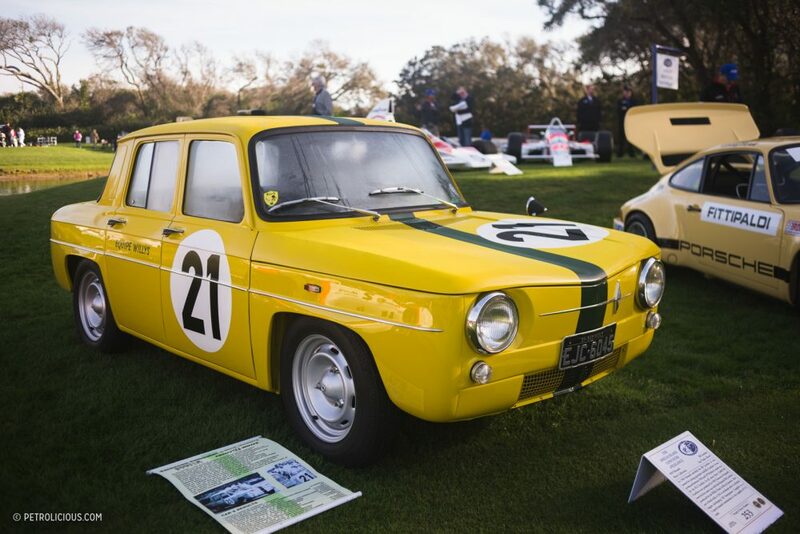 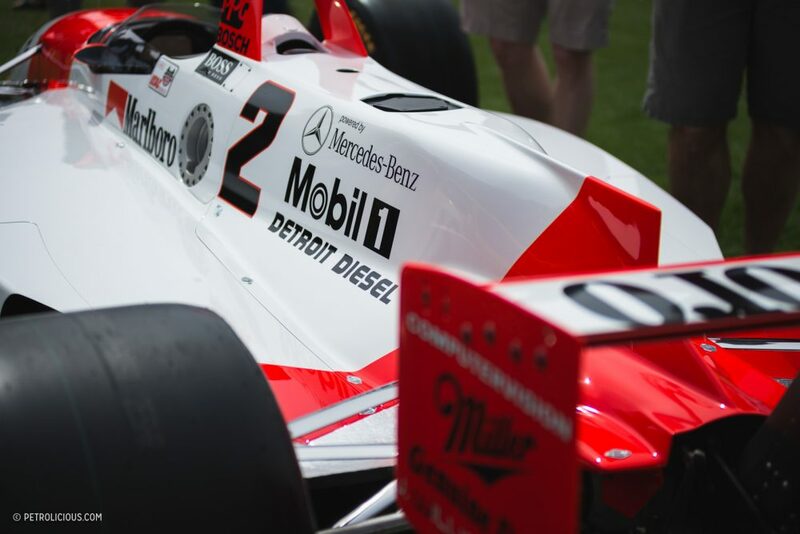 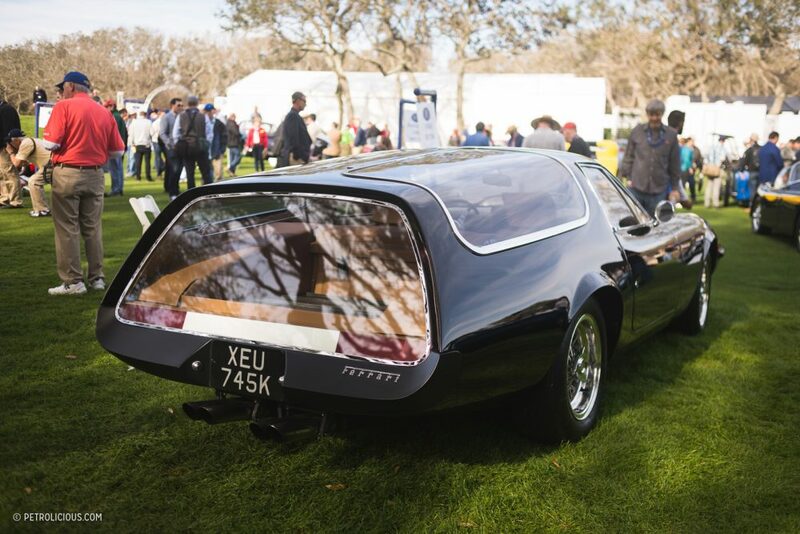 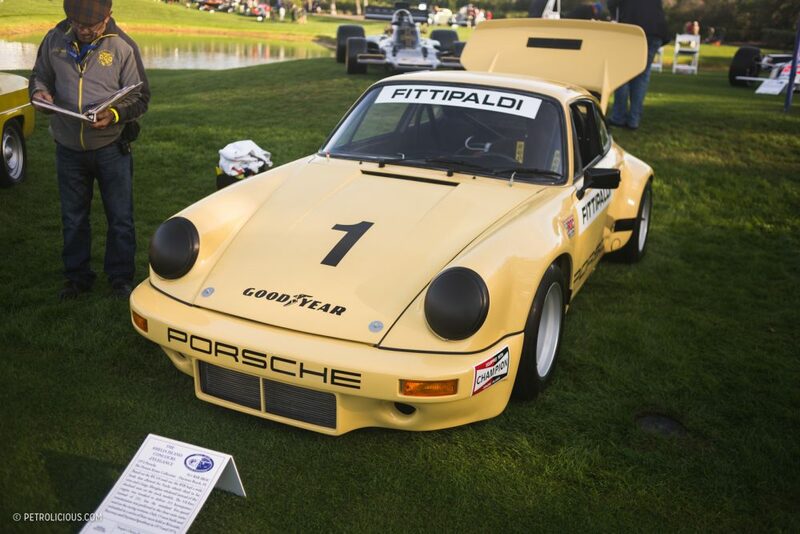 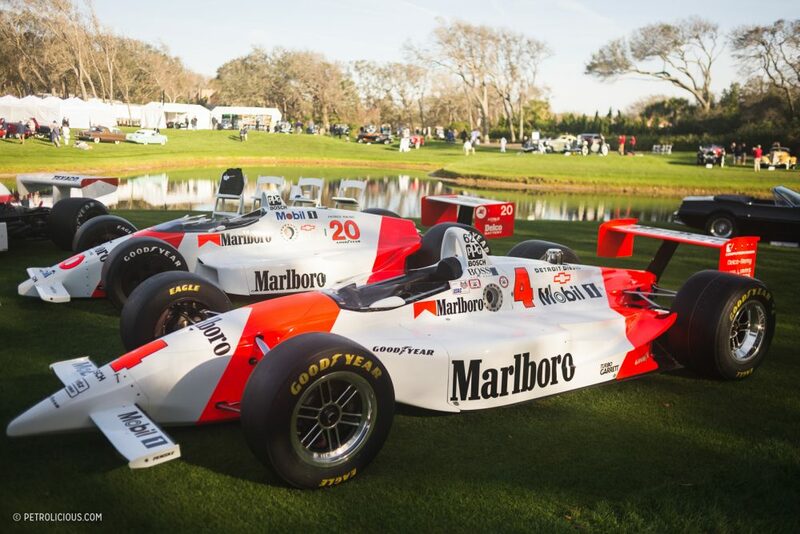 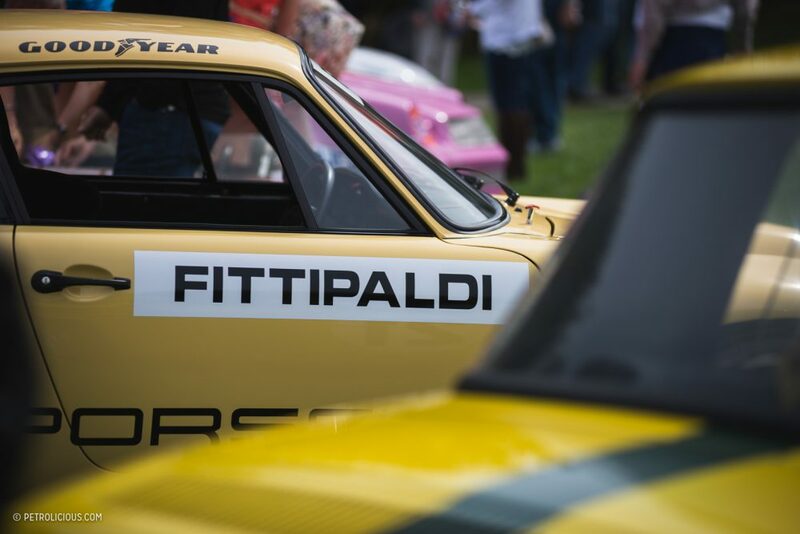 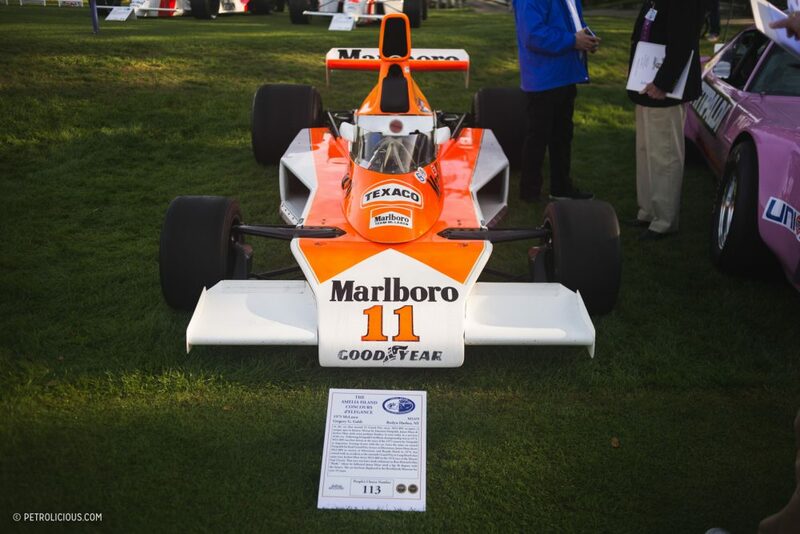 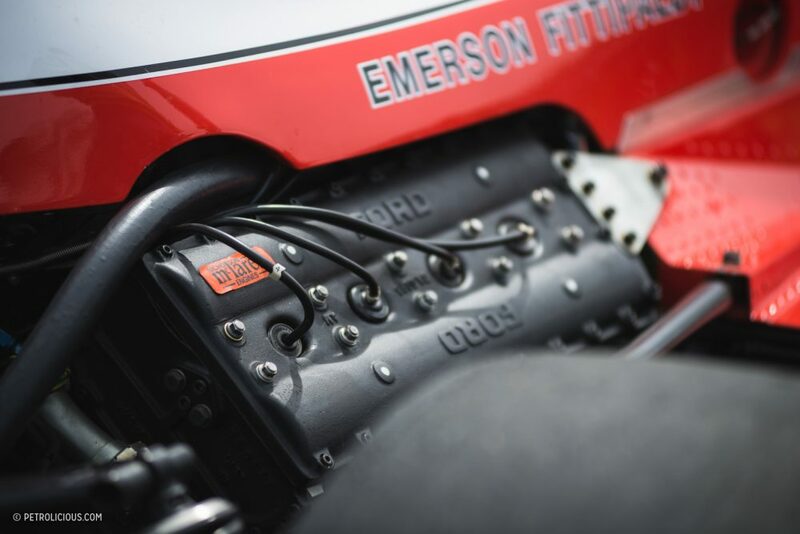 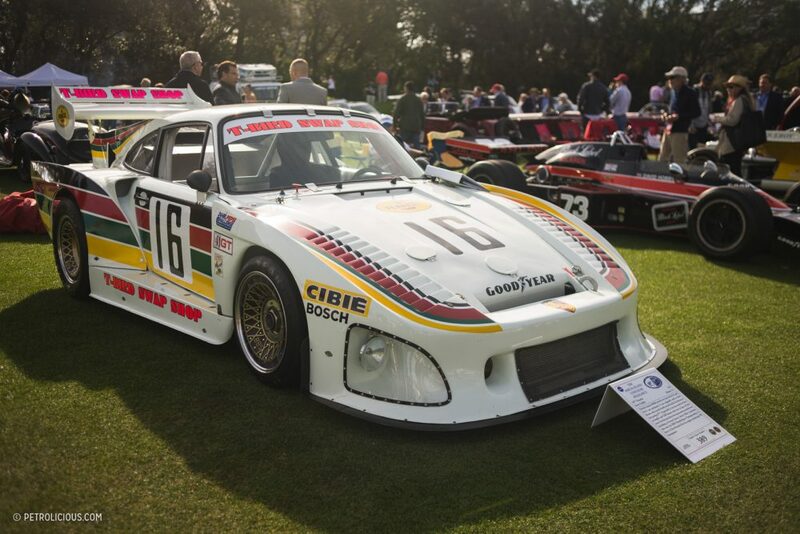 Honoree Emerson Fittipaldi’s race cars took center stage this year, and the offerings from his history in motorsport spanned multiple driving disciplines, eras, and of course more than one cigarette livery. 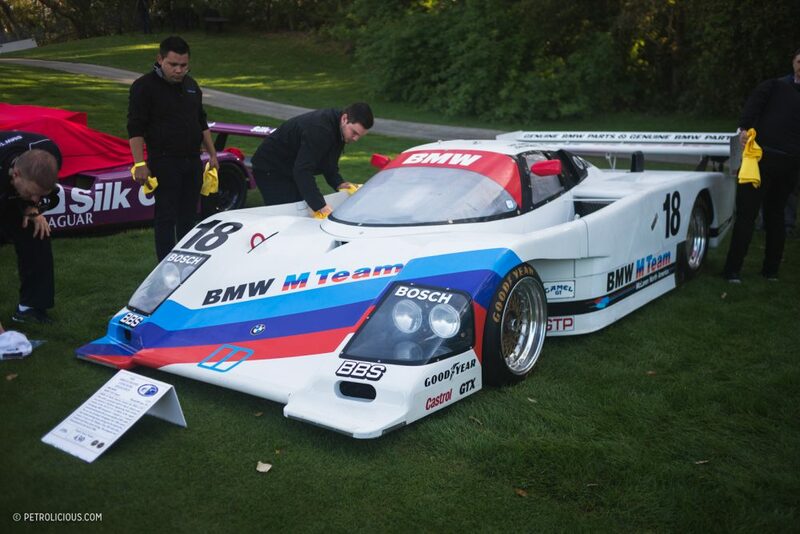 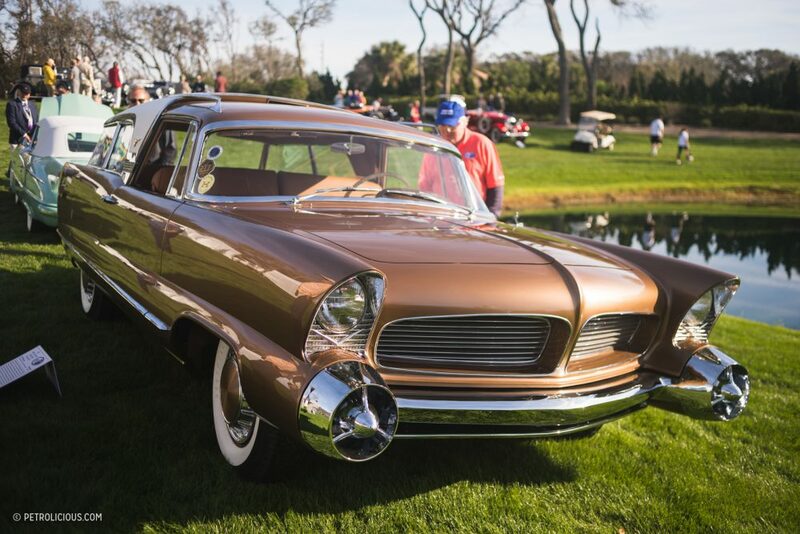 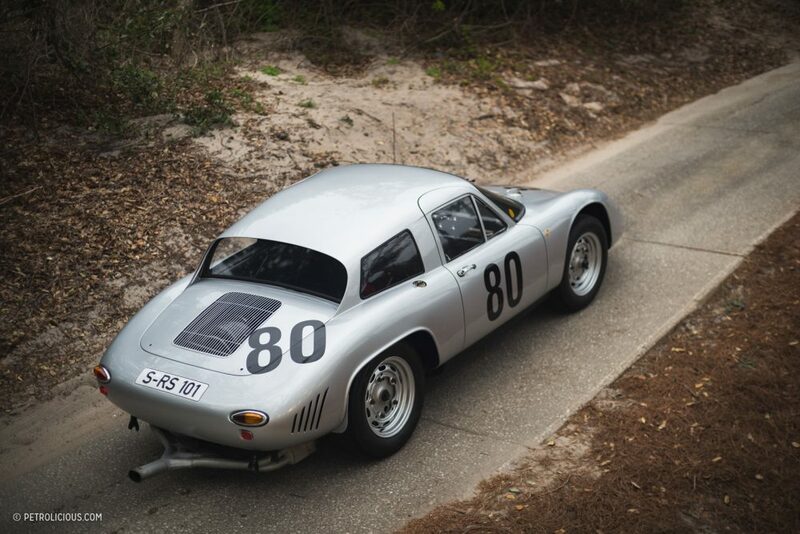 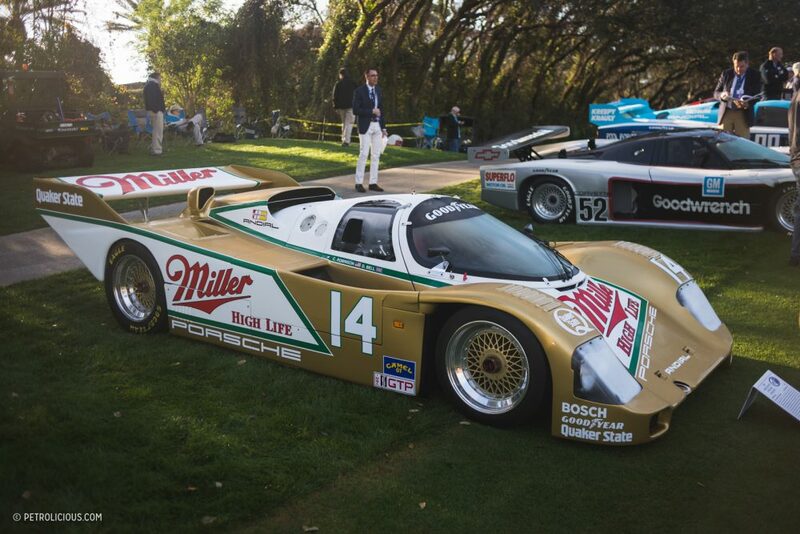 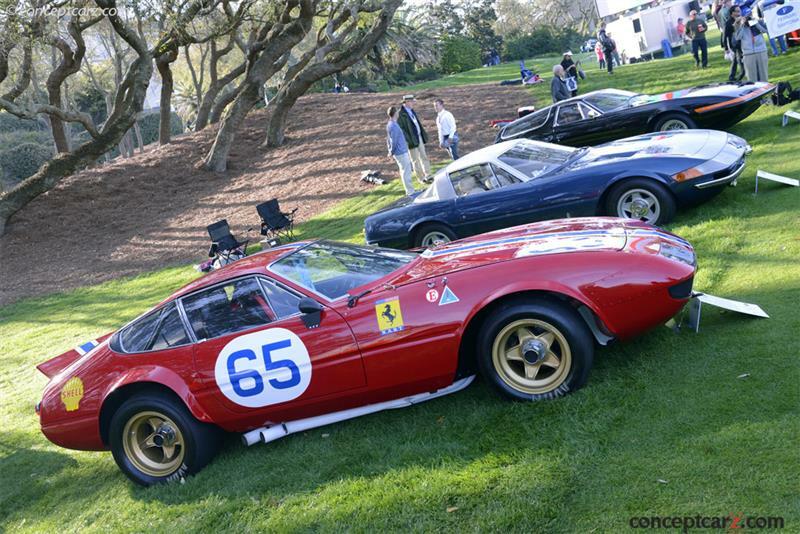 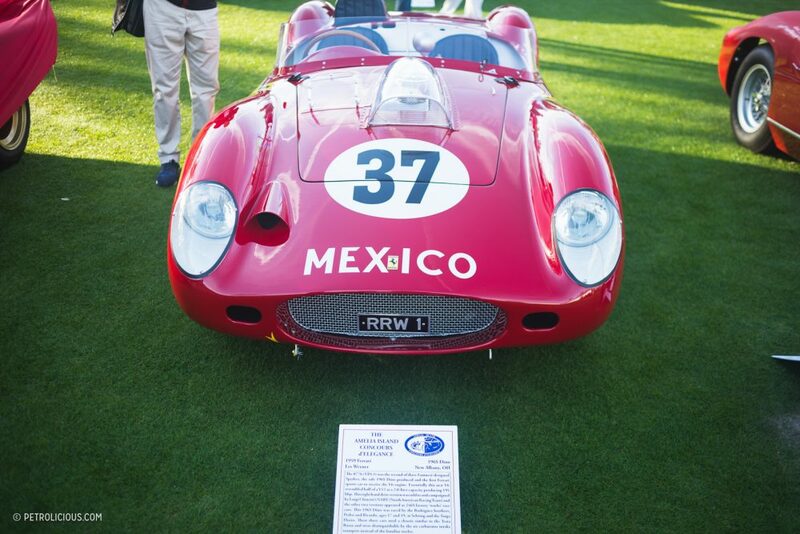 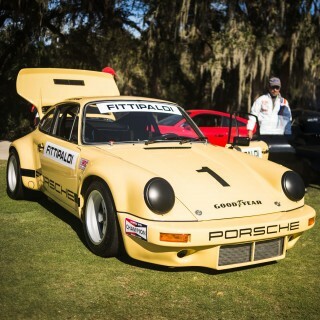 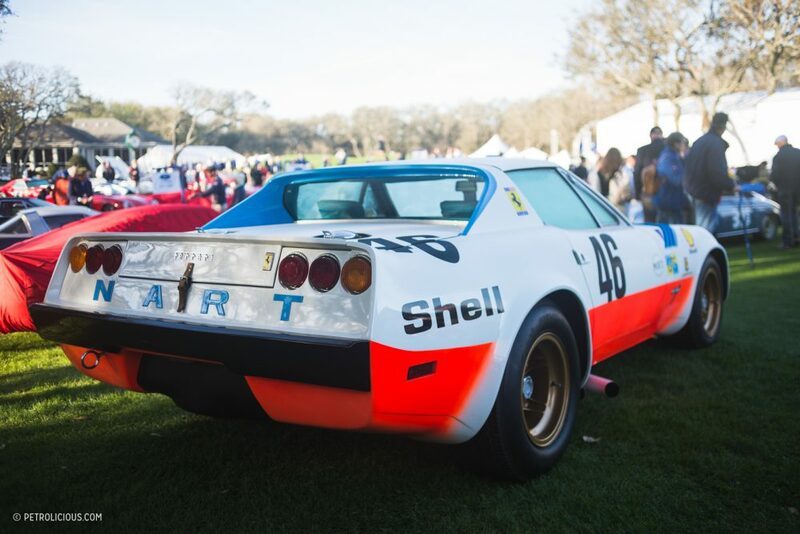 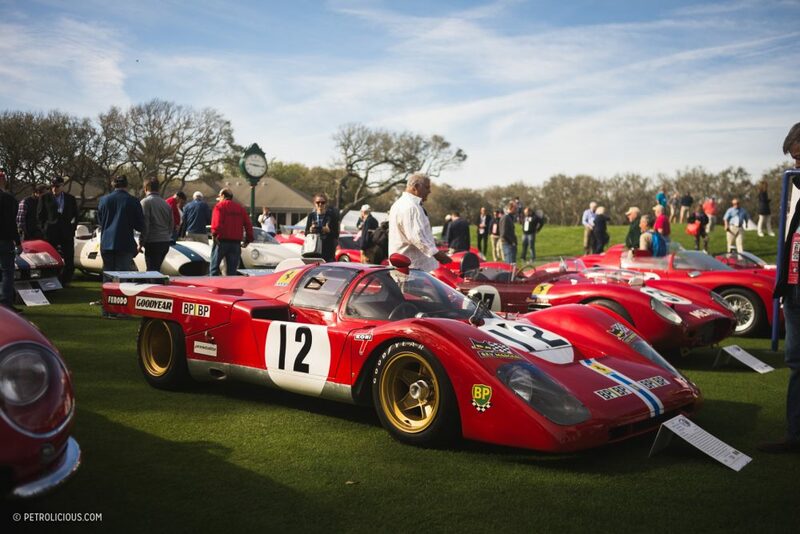 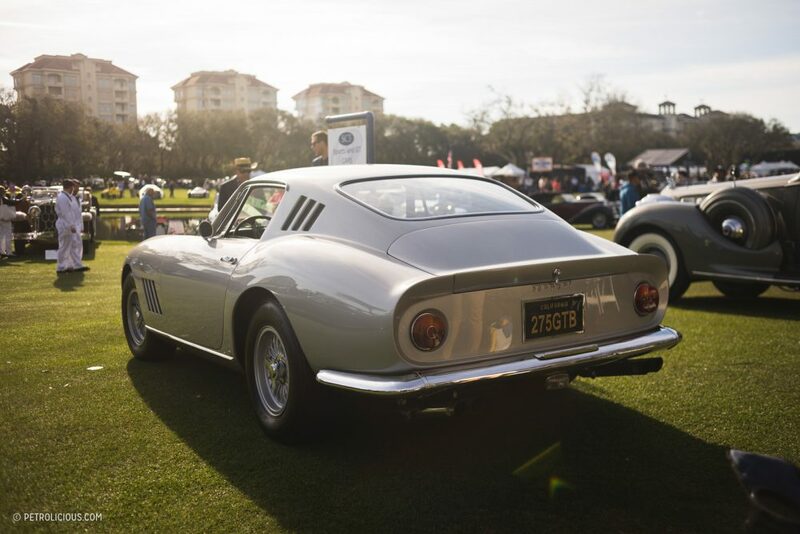 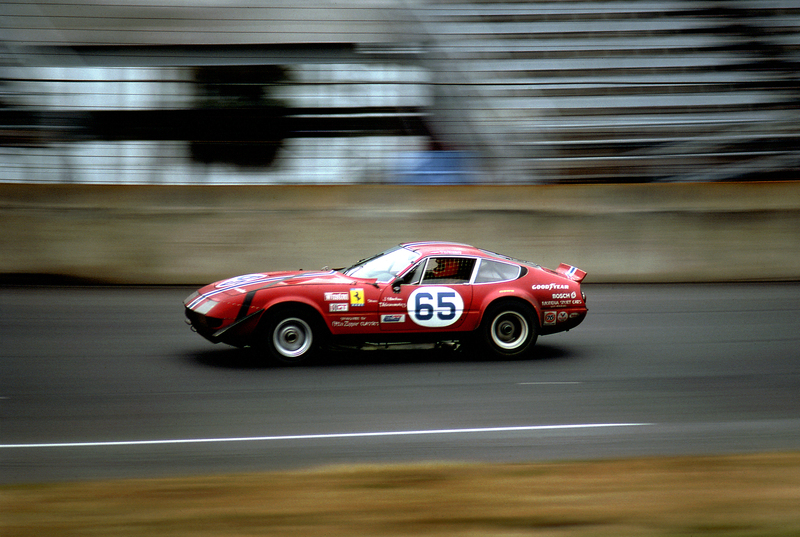 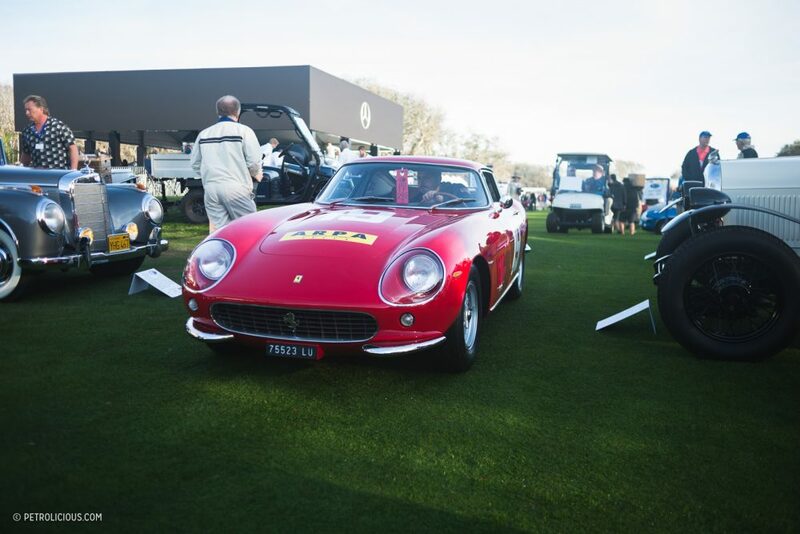 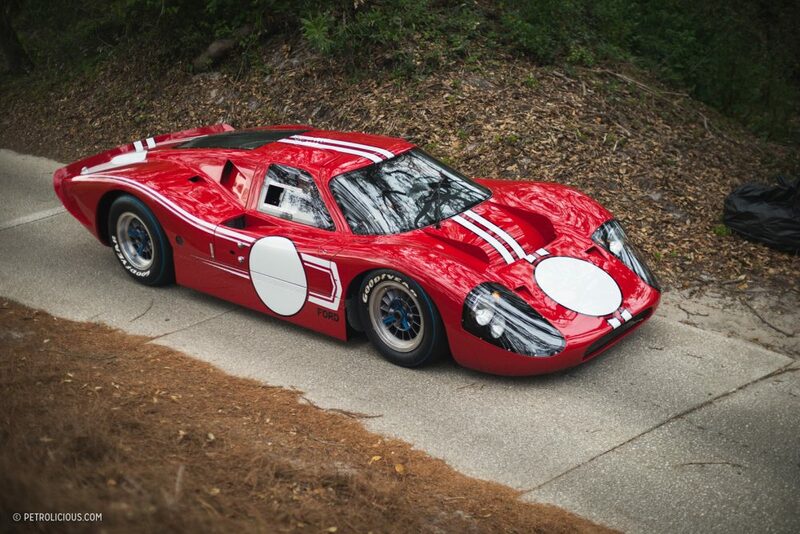 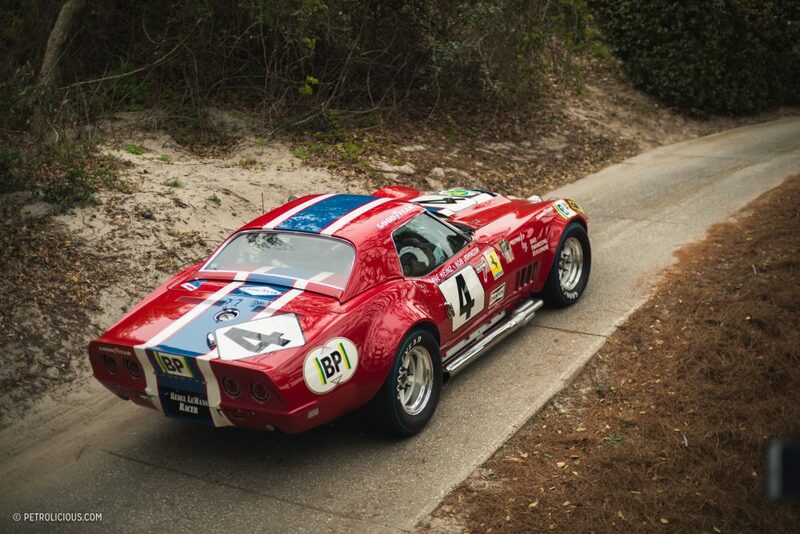 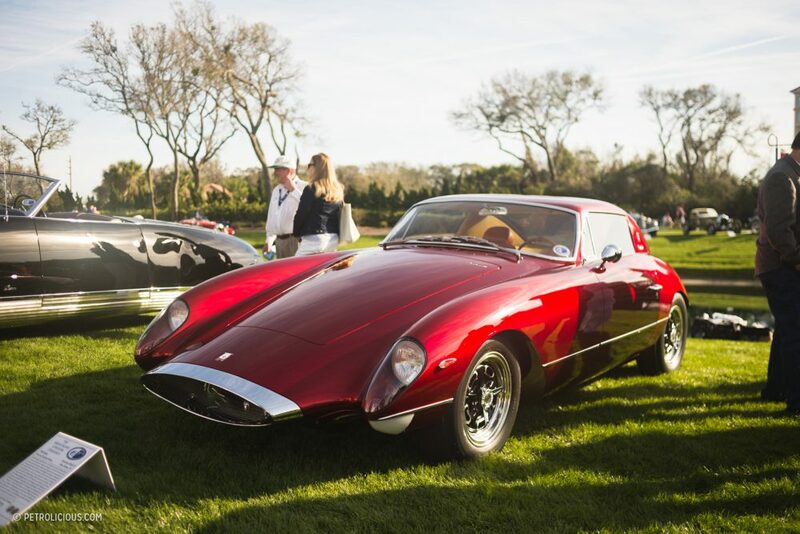 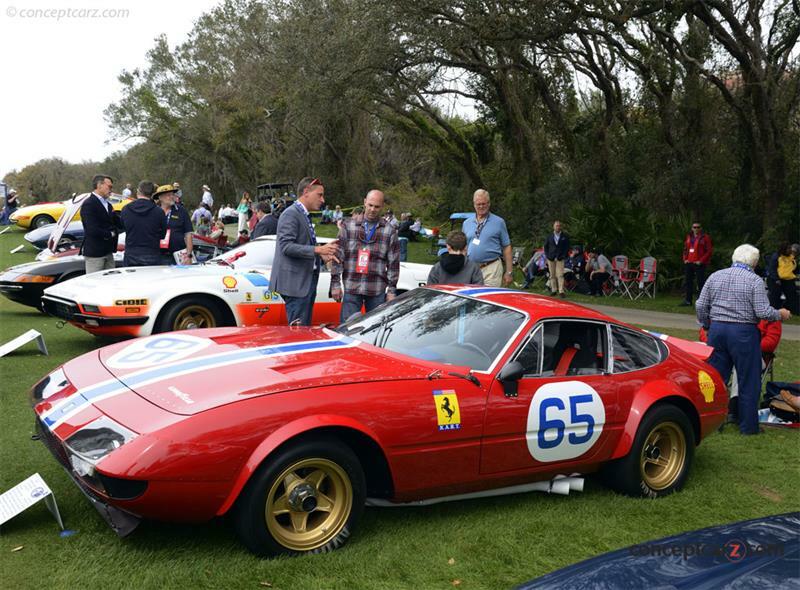 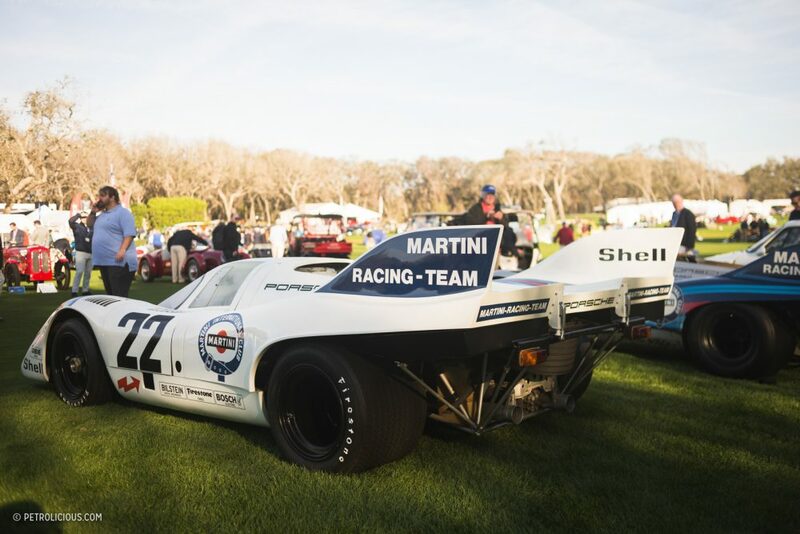 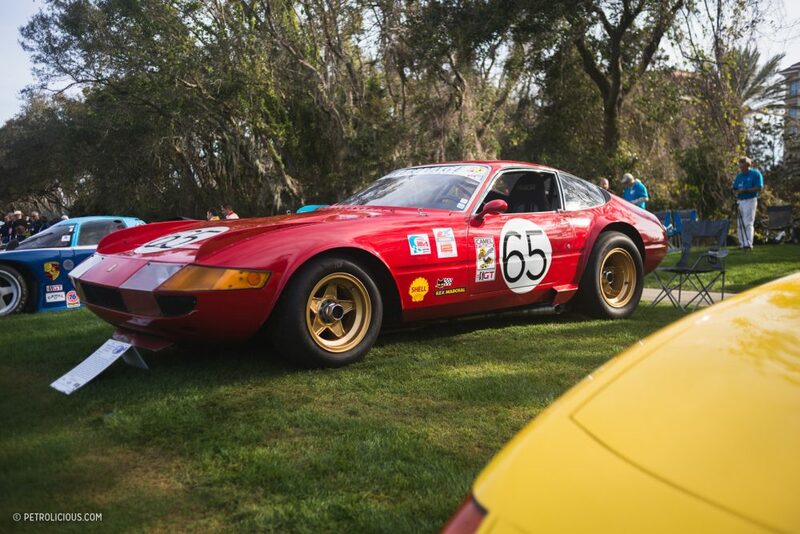 Despite the weather then, the 23rd edition of The Amelia Island Concours d’Elegance did not disappoint. 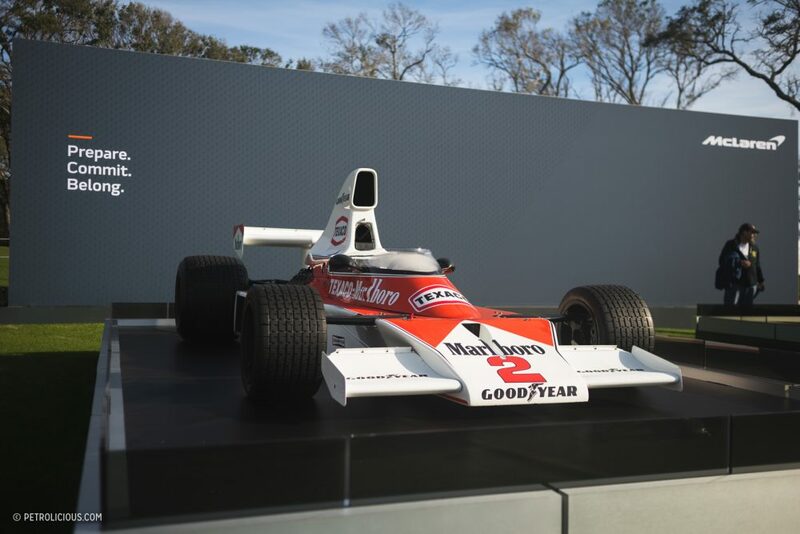 With the added challenge of logistics on a shortened timeframe, all of the moving parts of the presentation meshed beautifully. 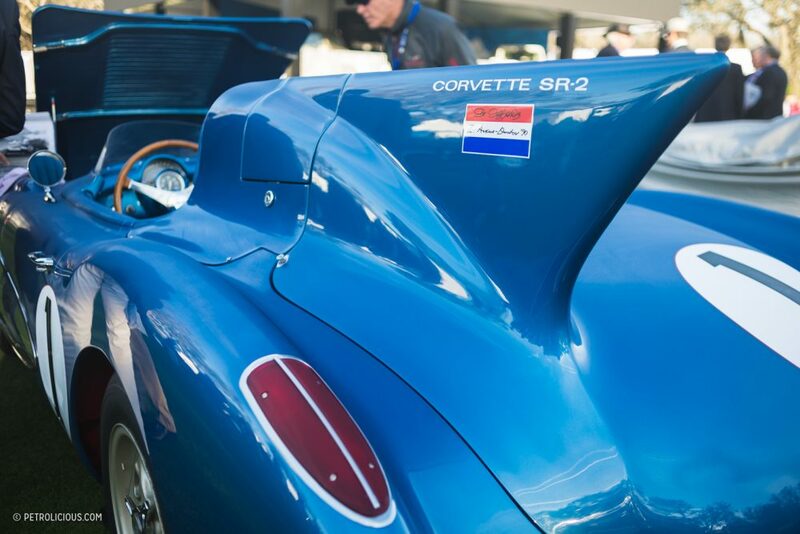 Special hats-off to Chris Brewer for his diligent work in keeping it all on track for the second year in a row with a shortened itinerary. 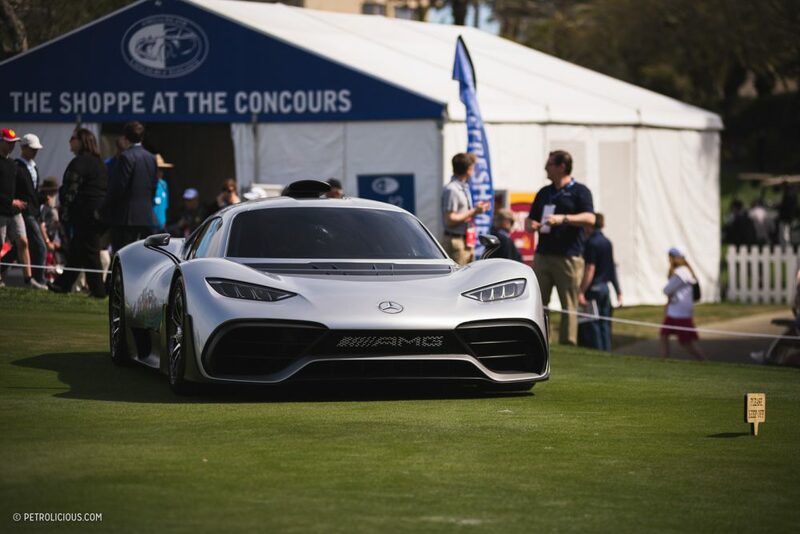 I can only believe that next year’s iteration will only continue to grow along with the success of this world-class event. 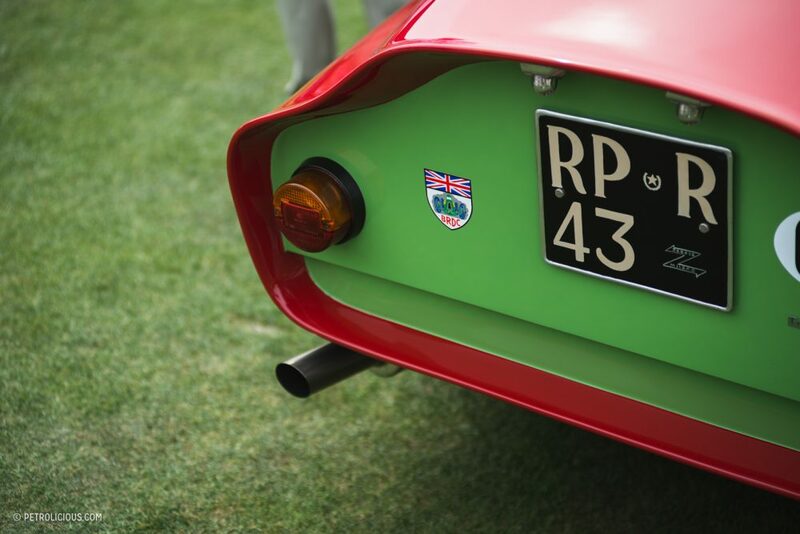 Travel Would You Drive A TVR Chimaera Down Bolivia's 'Death Road'? 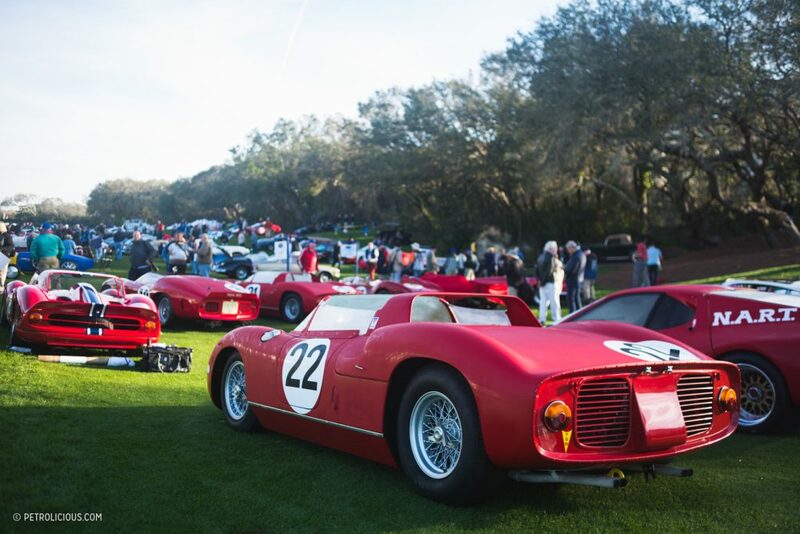 Had to miss this year because of the schedule change. 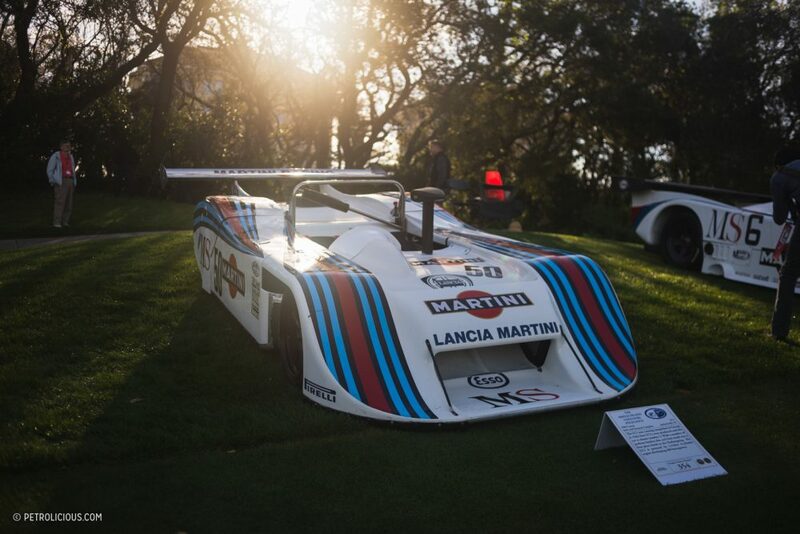 I have to admit I sulked a good bit when Sunday wound up being beautiful outside.